The US embassy in Paris has advised Washington to launch a trade war against any EU country which opposed genetically modified (GM) crops, according to newly released diplomatic cables from 2007. 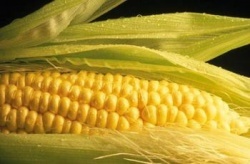 As an act of retaliation to France's efforts to ban a Monsanto GM corn variety in late 2007, the US Ambassador in France, Craig Stapleton, has asked Washington to penalise the EU and particularly countries which did not support the use of GM crops. "Country team Paris recommends that we calibrate a target retaliation list that causes some pain across the EU since this is a collective responsibility, but that also focuses in part on the worst culprits," the cable, cited by WikiLeaks and The Guardian, says. "The list should be measured rather than vicious and must be sustainable over the long term, since we should not expect an early victory. Moving to retaliation will make clear that the current path has real costs to EU interests and could help strengthen European pro-biotech voices," Stapleton has said. Furthermore, since many Catholic bishops in developing countries have been vigorously opposing to the controversial crops, the US has applied particular pressure to the pope's advisers. It also emerges that Spain and the US have worked closely together to persuade the EU not to strengthen biotechnology laws. "If Spain falls, the rest of Europe will follow," the US embassy in Madrid states in a cable. In March 2010, the Bulgarian Parliament passed amendments to the GMO Act which mean that GM crops will not be allowed to be grown in the country. Although they do not include a total ban on GM crops, the amendments have made it impossible for farmers to grow them commercially or in trials. Bulgaria has thus become the first country in Europe to introduce such stringent laws for all forms of GM crops.